In this episode, we have a conversation with Jana Weltzin, an Alaskan attorney with a focus on recreational marijuana business law and regulation compliance. We talk about moving back to Alaska and her newfound, intimate relationship with the community, the importance of independently owned businesses, and the Alaska weed industry—licensing, permits and regulations. Crude weed columnist Whitney Branshaw sat in on the conversation. In this episode, we have a conversation with long time Alaska journalist Craig Medred. We talk about the purchase of the Alaska Dispatch and the Anchorage Daily News by Alice Rogoff, Baby Boomers versus Millennials, news in a post-truth era, and the time he was attacked by a bear. Before Dustin was a host! In this episode, Cody and Tubby have a conversation with Dustin H James of Tailgate Alaska, a freeride festival in the heart of Thompson Pass. They talk about how Dustin is currently "living in an 80s ski movie," what it really means to be successful and his life after recently taking the reins of Tailgate. This episode was recorded with a USB mic. In this episode, we have a conversation with Dr. Alex James, an economics professor at the University of Alaska Anchorage, with a research focus on resource economies. We talk about Alaska's economy—economic growth and our dependence on oil—whether or not we suffer from a "resource curse," and everybody's new favorite Alaskan, Chad Brad. In this episode, we have a conversation with freelance reporter Michael Downey. We talk about reporting on war and revolutions in the middle east for New York Times, BBC, PBS NewsHour and Rolling Stone, what it means to be a millennial—how all generations look down on previous generations—and how artificial intelligence will soon take all our jobs. In this episode, we have a conversation with Aaron Leggett, the Curator of Alaska History and Culture at the Anchorage Museum. We talk about the identity of Alaskans—the history of the land and its people as a way to lend perspective to the present and the future—and the Alaska Permanent Fund Dividend—the history of it and why we have such a sense of entitlement about it. 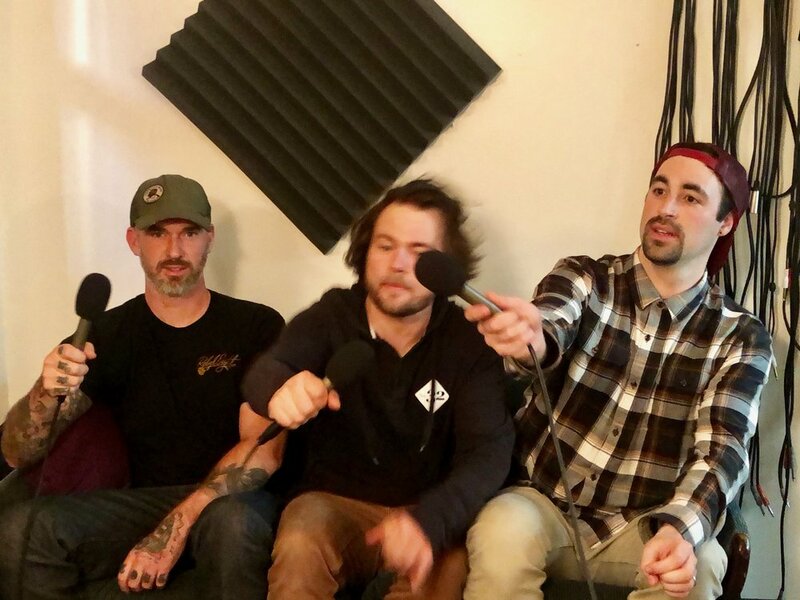 In this episode, we have a conversation with Travis Brady, aka Alkota Beats, a hip hop producer and beatmaker based out of Anchorage, Alaska. Travis also runs an online marketplace called The Drum Broker where people from around the world purchase beats and samples to produce music with. We talked with him about getting high at his cabin in the woods, creating a new business, the current state of journalism, the effects of globalization, and NIXLE. In this episode, we have a conversation with longtime alt-weekly journalist and documentarian David Holthouse. We talk about documenting crooked cops in Brooklyn, staying up for days with crystal meth addicts, how Anchorage has increasingly become more sketchy, and his upcoming documentary about the infamous case of John and Lorena Bobbitt. Holthouse has worked for the Anchorage Daily News, the Anchorage Press, and the Phoenix New Times. Additional questions provided by Aurora Ford. Meet your hosts, Cody Liska and Dustin H James! In this episode, they have a conversation about everything from the Anchorage neighborhood Cody lives in to the importance of critical thinking. This episode was recorded on a USB podcast mic.